UK Web Hosting Christmas 2015 & New Year 2016 Offer : Discount & Gifts are Back iphone6S, Nexus6P ,Xbox & More..
Like every year WebHost.UK.net is excited to bring back our most awaited and loved Discount & Gifts offer. 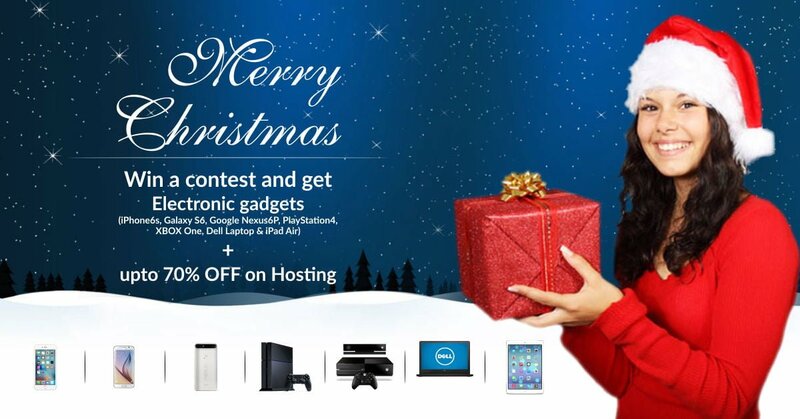 Its raining Gifts & Discounts this Christmas 2015 and we will be moving forward into New Year 2016 Soon, How about starting a Online Business, Buying Domain, Getting Website Hosting with almost 70% OFF plus a chance to Win iPhone6s, Galaxy S6, Nexus6 P, PlayStation4, Xbox One, Dell Laptop or iPad Air to our lucky winner?? You Love Gifts right and wish to start this New year with your startup business...WebHostUK LTD one of the leading UK web hosting is offering 50% + 20% additional on all its Shared Hosting packages, this Christmas just for you. lucky winners will be chosen through RANDOM.ORG who can choose any gadget from iPhone6s, Galaxy S7, Google Nexus6P, PlayStation4, Xbox One, Dell Laptop & iPad Air. We also have First and Second Runner up price that gets free Shared, Reseller or VPS hosting free for life! This offer is valid till January 15th 2016 and the winner will be announced on January 22nd 2016 on our blog, forum, Facebook and Twitter. 1) Customer placing new order is only eligible for the lucky draw. 2) Customer should be UK or US Resident to be eligible for the lucky draw. 3) Customer should place order using Coupon code to be eligible for the lucky draw. The Christmas & New Year Offer is valid till January 15th 2016 only! So why wait? Order now, get huge discounts and win a chance to get exotic gadget of your choice! Merry Christmas & A Happy New Year!